What would you do if you learned your patient at a staged event was your friend, family or coworker? Would you still stage or would you go in and risk your life for them? 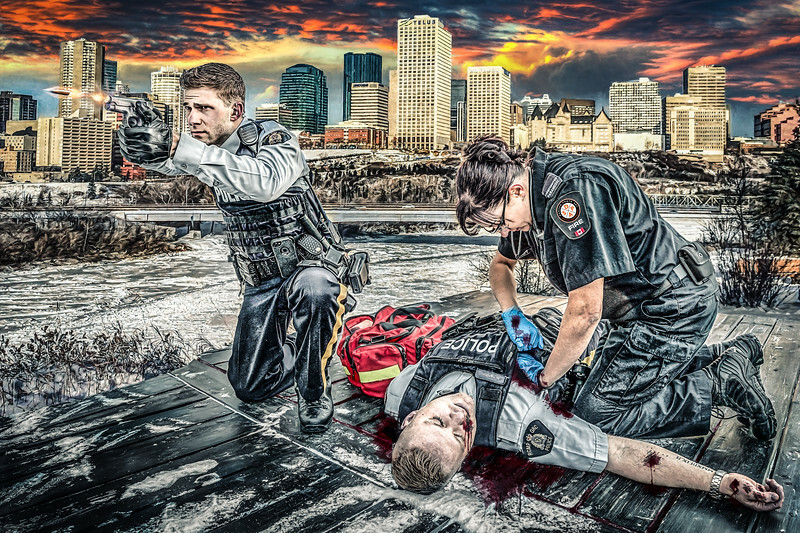 Many tactical medics are trained to go in during live shooting events and treat the injured before the scene is secure. Would you enter a live shooting event to treat the injured and help take them to safety? What if it was someone you knew? The medic and fallen officer in this image are close friends in real life. They work on the same shift so this situation is a real possibility for them. I have no doubt she would risk her life to save him.